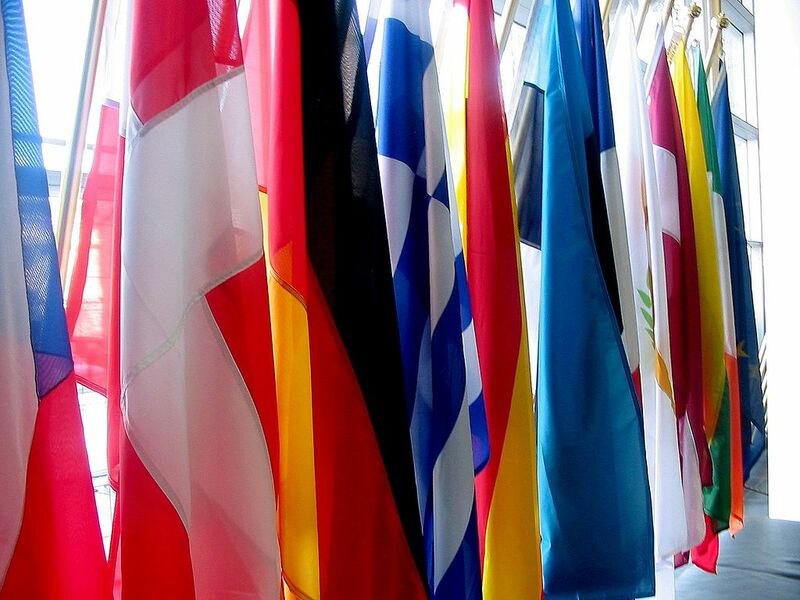 European Commission flags in Brussels., 2005. Wikimedia Commons. There’s a surreal quality to the European Commission’s procedures for enacting regulations to restrict the trade in ‘cultural goods.’ That’s not a good thing; especially since a dose of reality is what’s been missing from the EU’s cultural property debate. Only in the most recent European Commission’s discussions has it become clear that the primary justification for imposing draconian regulations on the entire legitimate art and antiques trade – to end a supposed illicit trade providing funding to terrorists – had no basis in fact. In actuality, the evidence actually argued against the regulations. In March, the International Trade Committee of the European Parliament and the Internal Market and Consumer Protection Committee heard from their rapporteurs, Alessia Maria Mosca and Daniel Dalton. Each rapporteur had taken a hard look at the actualities of the market and the costs (to government and to the EU economy) of implementing the proposed regulations, and made suggestions for amending the proposed regulations. 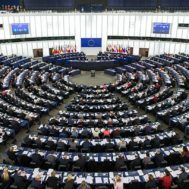 The current schedule for the European Commission regulations involves presentation of a draft report on April 23, 2018, tabling of amendments on April 25, consideration of amendments on June 4 and June 19, a Committee vote on July 10, and a plenary sitting date set for some time in September. As they stand, the regulations restrict import and export of items over 250 years of age by requiring either (1) documentation of lawful export from a source country or second country in which the object has been for a lengthy period (the majority of countries have no such permitting regimes) or (2) a sworn affidavit from the exporter that an item was legally exported, depending on the type of object covered. A key concern regarding the affidavit system is that the importer may have no way to know if that is true or not, since most cultural items have been in circulation for decades among multiple owners. Market representatives have presented independently-verified evidence showing that the key assumptions on which the proposed regulations are premised are wrong. They believe that the cost and delay caused by the regulations would seriously damage the legitimate art and antique markets, which contribute about €17.5 billion to the EU economy, and provide employment for over 350,000. Today’s art market is focused on art fairs as much as brick-and-mortar businesses, and the six-month delay for import license approval for artworks would keep foreign dealers from attending EU art fairs. It is also clear that the number of applications for licenses would be vastly greater than the European Commission now assumes. The EC estimated that the new regulations would require only 30 new licenses a year. Yet EU States regulations already require licenses for artworks of high value – €150,000 for a painting and €15,000 for a photograph – and 25,000 license applications are currently sought each year for these items. The bureaucracy needed to administer and enforce the proposed regulations would require huge expense to government as well as to the market. The only workable system EU-wide would require both significant Customs harmonization to new standards, and also setting up a digitally accessible platform for applying for and administering licenses. But the most bizarre element of the entire proposal is its ostensible justification and explicit purpose – to end a supposed illicit trade in antiquities in European Union countries that funds terrorism. As CPN noted in an earlier article on the European Commission regulations, EU Regulations use a Sledgehammer to Crack a Nut, August 29, 2017, the premise for requiring new regulations was that there was a massive, multi-million euro (or even multi-billion euro) trade in illicit antiquities from the war zones of the Middle East. However, the most recent World Customs Organization’s latest Illicit Trade Report (2016) shows no seizures at all in Western Europe (other than Switzerland) of any looted cultural property associated with the Middle East. For purposes of comparison, the report describes approximately 45,000 global drug seizures, 200 million counterfeit goods from 35,000 seizures, and 750,000 illegal animal and plant items seized. The Illicit Trade Report featured a special section on cultural property; globally, 8343 items of cultural property were found in 146 seizures total, and only about seventy of these seizures involved antiquities. By far the largest seizures of Middle Eastern antiquities took place in Middle Eastern countries. The European Commission’s own Deloitte report showed that there was no EU trade financing terrorism. And the EU already prohibits the import of cultural artifacts from Iraq and Syria, making this purpose of the regulation redundant. 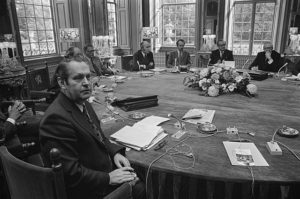 Meeting of the European Commission, October 1973, Photo credit Bert Verhoeff / Anefo, courtesy Dutch National Archives. A number of these criticisms of the proposed regulations have been acknowledged as valid. Members of the European Parliament appointed as rapporteurs have found the proposed regulations inadequately supported by fact. The European Commission has acknowledged that the proposed regulations skirted over key areas in which information was lacking. The recognized shortcomings of the proposed legislation prompted the recent commissioning of a new two-year study, “improving knowledge about illicit trade in cultural goods in the EU, and the new technologies available to combat it.” According to market sources, completion of this study and a necessary harmonization of customs regulations will likely require several years of additional work. Vague definitions of the types of ‘cultural goods’ covered. Some items, for example, ‘rare manuscripts’ over 250 years old will require import licenses, but ‘books, documents and publications’ over 250 years old will require only an importer statement. Obviously, the categories overlap. Which system should be applied? Inadequate Customs categorization. The World Customs Organization has noted problems with the classification. Different EU countries apply different standards to the types of ‘cultural goods’ affected by the proposed regulations. If a goal of the new regulations is a harmonized Customs regime, these differences must be addressed. Confusion about the meaning of the terms ‘export countries’ and ‘source countries.’ The proposal seems to contemplate that a multiplicity of countries could claim a single object, or challenge its export. 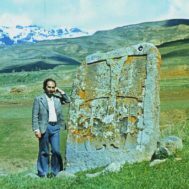 A source country could be where an object was made, or where its was used or traded in the past, or where it was excavated or found. This vague attempt to find an association with a contemporary nation is extremely likely to generate conflicting claims. Many artworks and antiques were made for trade, have rested decades or centuries in countries other than those where they were made, and in fact, could have come from a kingdom or empire whose ancient boundaries now include many modern nations. If a ceramic bowl traded centuries ago has been in another nation for 400 years, does the originating nation have a claim for its ownership? Customs agents and other national authorities could hold cultural goods for six months to examine the claims and decide whether to grant an import license. Prior European Commission regulations focused on cultural items traveling internally within EU markets. 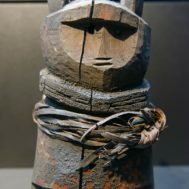 Legislative goals were to ensure the return of cultural objects that had been unlawfully removed from EU countries’ territory, and to enable compensation in appropriate circumstances. For further information, CPN also suggests reading: Cultural Property, War Crimes and Islamic State. Destruction, plunder and trafficking of cultural property and heritage by Islamic State in Syria and Iraq – a war crimes perspective.